Can’t say its a tradition of mine, but for these sisters it is. 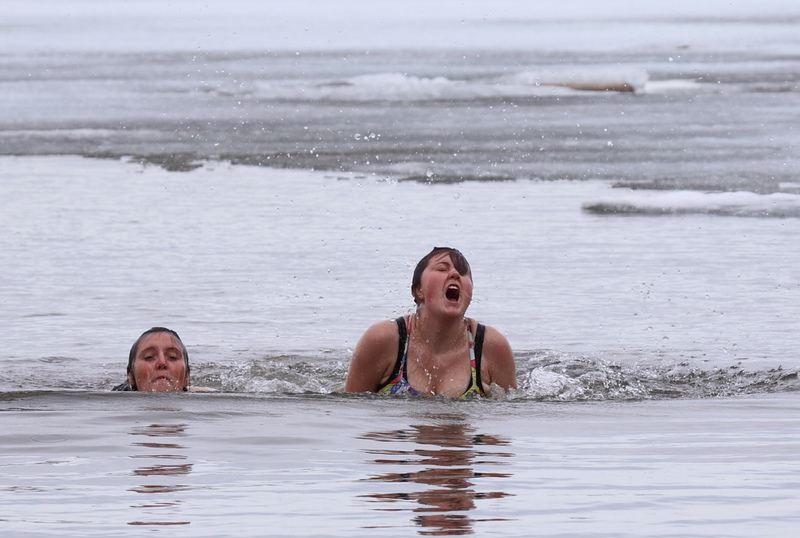 As soon as the ice melts far enough from shore they go for a swim. This year was a little difficult as the water level in Great Slave is low. Made for a chilly walk out to deeper water.